A warm welcome awaits you at the Broadhaven Bay Hotel, Mayo. This luxurious 3 star family run Belmullet hotel overlooks the Broadhaven Bay with spectacular views of the Atlantic Ocean on a backdrop of a patchwork of green fields. The interior of this leading Mayo Hotel has a classy yet comfortable appeal and has a service second to none. Belmullet is a lovely bustling town and although officially part of the Mayo Gaeltacht, it is both English- and Irish speaking. The area plays host in summer months to students enrolled in local Irish language summer schools.The town of Belmullet has a population of about 2,000, people and has a lot of amenities for tourists visiting the town. Excellent venue, hospitality and service. We hope to visit again soon. Fabulous Hotel, Friendly Staff, Fantastic food. Best hotel I have stayed in for long time... Staff are so friendly... Family room are spacious...,Pool and Spa are brilliant!! 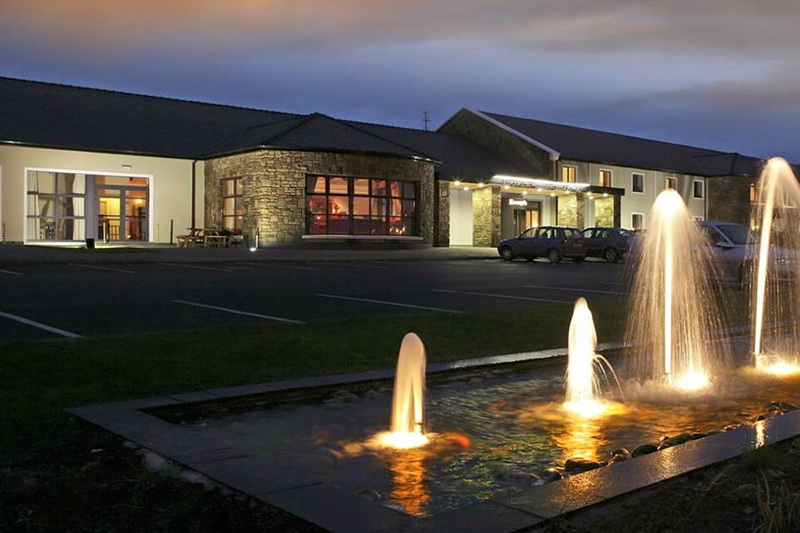 This hotel is in an excellent location for breath-taking scenic drives and touring north Mayo. Staff were very friendly and helpful, rooms good size, with a lovely spa and leisure centre. I would highly recommend this hotel. we stayed for 3 nights and had a wonderful time. the family rooms were gone when I booked but as agreed they had provided a camp bed for my youngest which turned out to be really really comfortable. the room was lovely, spotlessly clean and tea/coffee etc was topped up daily. the pool was a big hit with the kids and the toys provided very much appreciated. a huge choice provided at breakfast, probably too much in fact but that's not a complaint except from my waistline. we had dinner on two nights in the hotel and were very happy with the amount of choices, quality and service. all in all we found the hotel to be of a very high standard for a 3* rating, great food, lovely accommodation & very friendly staff. a big thank you to all at Broadhaven Bay hotel. very pleased with our hotel. The food was very good & staff very nice. lovely location.